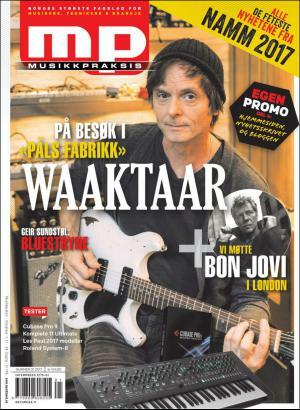 Paul is on the cover of the latest issue of Norwegian music magazine Musikkpraksis. 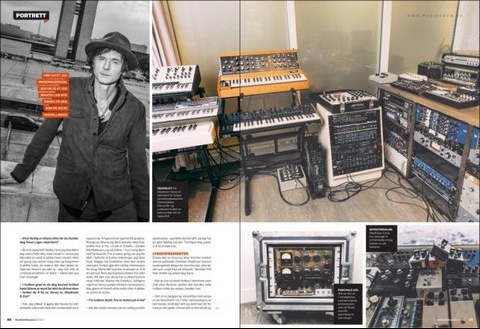 Inside there’s a 10-page report from Paul’s home studio in Brooklyn, where he recorded the newly released Waaktaar & Zoe album. “When you hear her sing, she sounds like she could be 20, 30 or 40 [years old]. I find that really cool”, Paul says of Zoe Gnecco. He is also pleased with the World of Trouble mixing process, which was done with Steve Osborne. Among other things, the interview also covers Paul’s current preferences when it comes to microphones, amps and guitars. As for future releases, there is a lot of material from the last few years that’s just waiting to be heard. A few more translated quotes from the interview have been posted on a-ha.com. The magazine is now available in selected Narvesen stores across Norway. The price is 149 kr (£14).